Jaipur is famously known as India’s Pink City and draws many to visit and experience its colorful and unique architecture. Nahargarh Fort is a historic attraction that will appeal to many of these visitors. It remains perched high upon the hills surrounding Jaipur and thus has sweeping views of the stunning city. 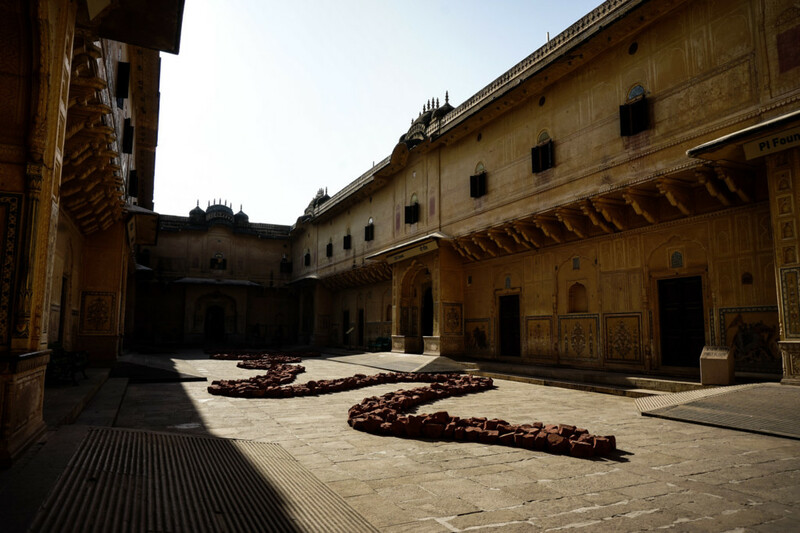 What many do not realize as they marvel at the sweeping fortified walls that snake along these hills, is that this fort is actually classed as one of the most haunted places in Jaipur, India. Looking over Jaipur, the Pink City, from one of its most haunted locations. Nahargarh Fort dates back to 1734 and is often also referred to as Tiger Fort. 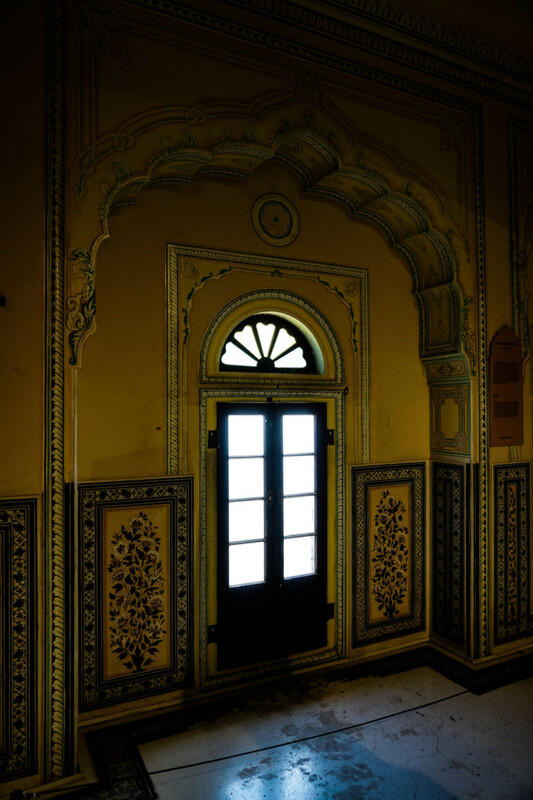 It was built by Maharaja Sawai Madho Singh, who was the then king of Jaipur. 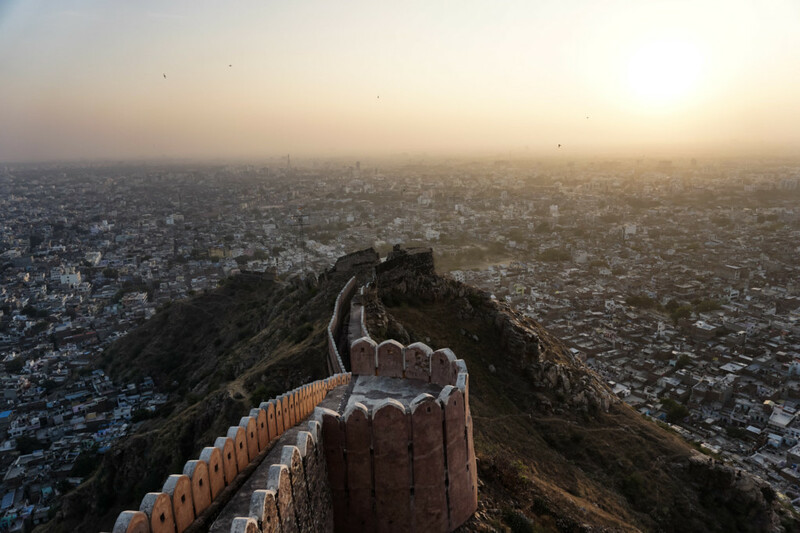 Its purpose was mostly to provide fortification and a protective barrier for Jaipur, though the fort was never actually utilized in any battles. What the fort is most recognizable for is the residences that the king had made for each of his 12 wives. Within the fort are 12 identical, intricately constructed and decorated suites, one for each queen. 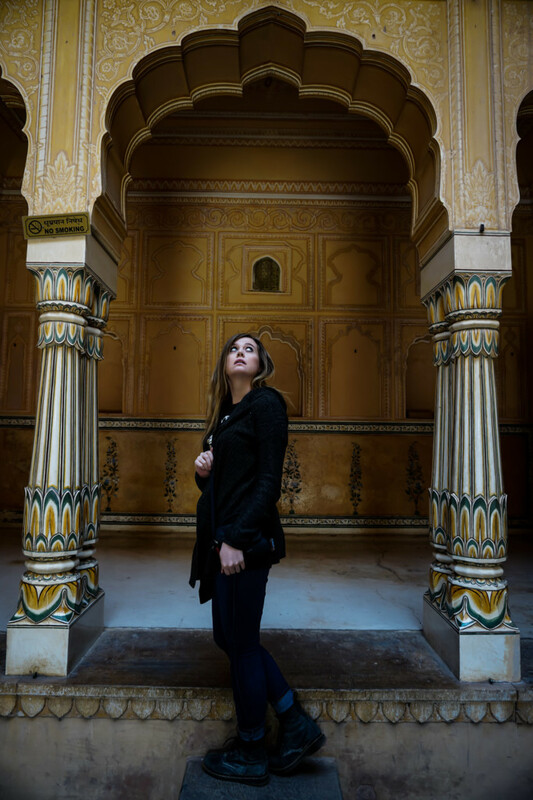 Walking through the supposedly haunted Nahargarh Fort in Jaipur, India. 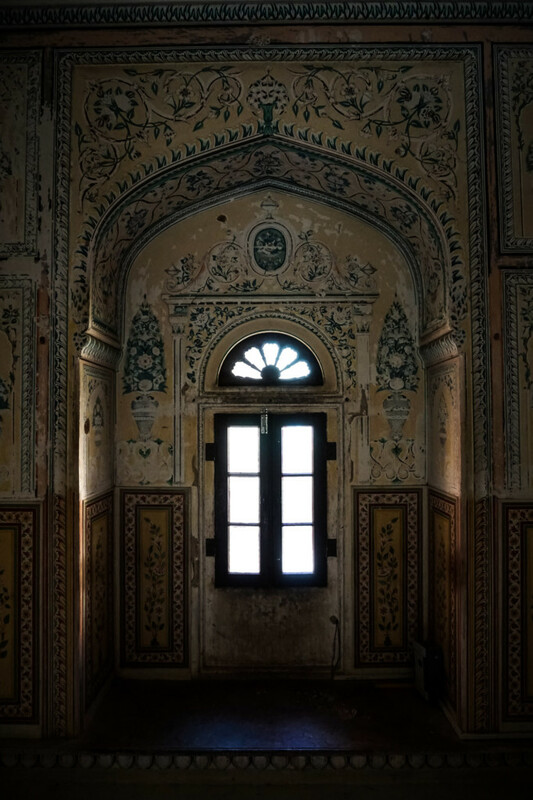 Many ghost stories exist about the Nahargarh Fort in Jaipur. 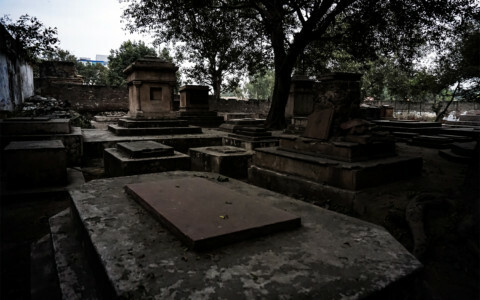 Perhaps the most spoken of ghost said to haunt the fort is that of King Madho Singh. The area where he is thought to dwell in is the apartments that once housed his wives. The king allegedly loved the fort and its beauty so much, it drew him to continue occupying the site, even after death. This is where many people have reported to spot the king’s apparition. The beautifully decorated homes of the King’s 12 wives. Additionally, many believe that the king may also continue occupying the fort to protect it. 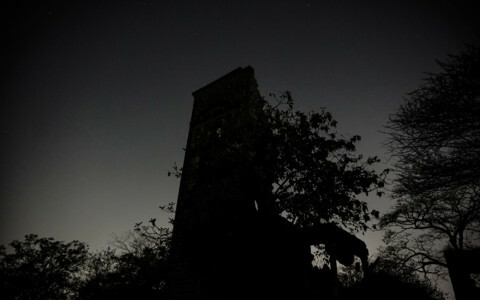 It is said that his spirit hates any changes being made to the building, especially if they are of a damaging nature. Supposedly during recent renovation efforts, construction workers would come into contact with the king’s spirit often. He would apparently distract them whilst working or even undo some of the work and progress they had made. 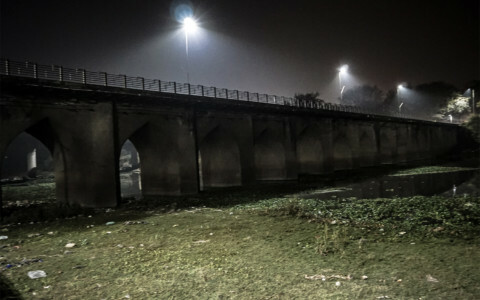 Exploring one of the most haunted places in Jaipur, India. Scarily enough, there are some who think that a mysterious death of one of the restoration effort organizers could have been at the hands of the King’s spirit. This fort is allegedly protected by the King’s spirit. Nahargarh Fort is extremely easy to access. It is one of the most visited attractions in Jaipur India. Tuk-tuks, taxis and vehicles booked through the Grab app are all easy to take to and from the fort. The drive is a short one, though steep and just outside the city. Tickets can be purchased for a small fee from the ticket booth at the fort, they are slightly cheaper for Indian residents. Visits are restricted to opening times (during the day) to the fort. 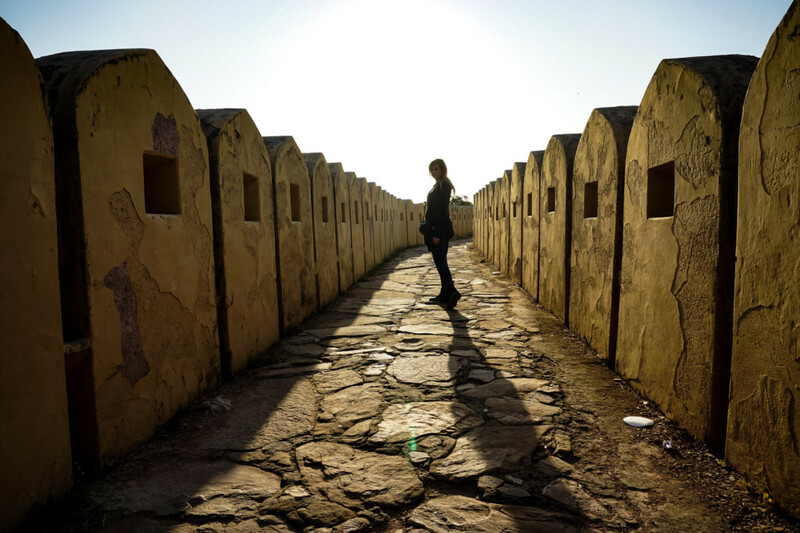 Exploring the fort’s fortified walls that protect Jaipur, India. If you enjoyed learning about this haunted fort in India, I also recommend checking out Bhangarh Fort.